WASHINGTON -- Volkswagen AG's settlement with nearly 500,000 U.S. diesel owners and government regulators over polluting vehicles is valued at more than $15 billion cash, two sources briefed on the matter told Reuters on Monday. The settlement, to be announced on Tuesday in Washington, includes $10.033 billion to offer buybacks to owners of about 475,000 polluting vehicles and nearly $5 billion in funds to offset excess diesel emissions and boost zero emission vehicles, the sources said. A separate settlement with nearly all U.S. state attorneys general over excess diesel emissions will be announced on Tuesday and is expected to be more than $500 million and will push the total to over $15 billion, a separate source briefed on the matter said. 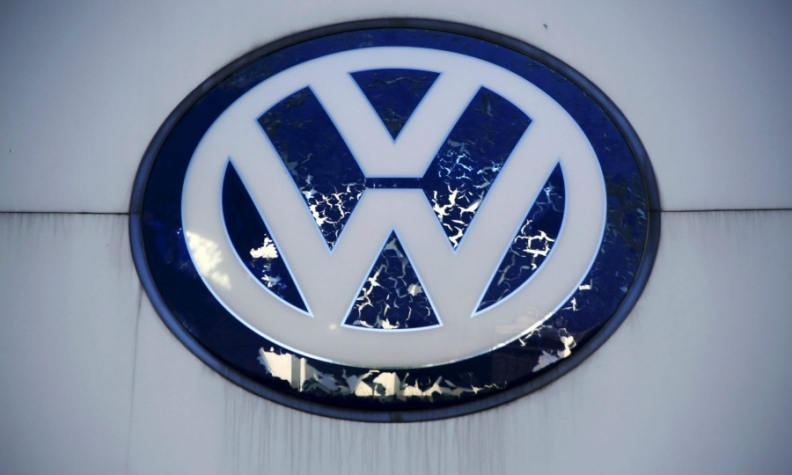 Spokeswomen for U.S. Environmental Protection Agency and Volkswagen declined to comment. Speaking on condition of anonymity, due to court-imposed gag rules, the first sources said that owners of 2.0 liter diesel VW 2009-2015 cars will receive at least $5,100 compensation along with the estimated value of the vehicles as of September 2015, before the scandal erupted. Some owners will get as much as $10,000 in compensation, the first sources said, depending on the value of the car. The $10.033 billion is the maximum VW could pay if it had to buyback all vehicles, but the actual amount VW will pay could be significantly less if a large number of owners take buybacks. Prior owners will get half of current owners, while people who leased cars will also get compensation, said the first sources. Owners would also receive the same compensation if they choose to have the vehicles repaired, assuming U.S. regulators approve a fix at a later date. The settlement includes $2.7 billion in funds to offset excess diesel emissions and $2 billion in VW investments in green energy and zero emission vehicle efforts, the first sources said. The diesel offset fund could rise if VW has not fixed or bought back 85 percent of the vehicles by mid-2019, the first sources said. The $2 billion in green energy and zero emission efforts will be spent over 10 years, the first sources said, and will include zero emission vehicle infrastructure. The settlement, the largest ever automotive buyback offer in U.S. history and most expensive auto industry scandal, stems from the German automaker's admission in September 2015 that it intentionally misled regulators by installing secret software that allowed U.S. vehicles to emit up to 40 times legally allowable pollution. The company's top U.S. executive, Michael Horn, was summoned to testify before Congress and in the days after the emissions scandal broke he said the company had been dishonest. "In my German words: We totally screwed up. We must fix those cars," said Horn, who left the company in March. VW still must reach agreement with regulators on whether it will offer to buyback 85,000 larger 3.0 liter Porsche, Audi and VW cars and SUVs that emitted up to nine times legally allowable pollution and how much it may face in civil fines for admitting to violating the Clean Air Act. Erik Gordon, a University of Michigan business professor, said "VW had little negotiating power, given the evidence. The costs of the remedies should make automakers cautious about misleading people in ways that give prosecutors the ability to bring criminal charges. Potential criminal charges mean you open your wallet in the civil actions, hoping to receive leniency instead of jail time." Reuters reported earlier the initial VW settlement would not include civil penalties under the U.S. Clean Air Act or address about 85,000 larger 3.0-liter Audi, Porsche and VW vehicles that emitted less pollution than 2.0-liter vehicles. A deal covering the 3.0-liter vehicles may still be months away. The settlement does not address lawsuits from investors or a criminal investigation by the Justice Department. Regulators will not immediately approve fixes for the 2.0-liter vehicles -- and may not approve fixes for all three generations of the polluting 2009-2015 vehicles, sources previously told Reuters. Owners will have until December 2018 to decide whether to sell back vehicles and fixes may not eliminate all excess emissions. VW cannot resell or export the vehicles bought back unless EPA approves a fix, Reuters reported last week. VW, the world's second largest automaker, has seen U.S. VW brand sales suffer in the wake of the crisis. VW brand sales are down 13 percent in the United States in 2016, while sales of its luxury Audi and Porsche units have risen. U.S. District Judge Charles Breyer in San Francisco will hold a hearing on July 26 to decide on whether to grant preliminary approval to the settlements. If granted he would hold a later hearing to give final approval. Buybacks are likely to start no earlier than October, the first sources said. In April, VW set aside $18.2 billion to account for the emissions scandal. VW had said the scandal impacted 11 million vehicles worldwide and led to the departure of CEO Martin Winterkorn. Last week, Germany's financial watchdog called on prosecutors to investigate VW's entire former management board over the time it took to disclose the carmaker's emissions test cheating, a person familiar with the matter told Reuters. German prosecutors said this month they are investigating Winterkorn and a second unidentified executive over whether they effectively manipulated markets by delaying the release of information about the firm's emissions test cheating.